As millions of Americans settle in to rest, grill out, watch sports or one last romp on the beach this Labor Day, it is important to note how this holiday came into fruition and later solemn popularity. The simple reasons? Violence and yes, racism against black workers! 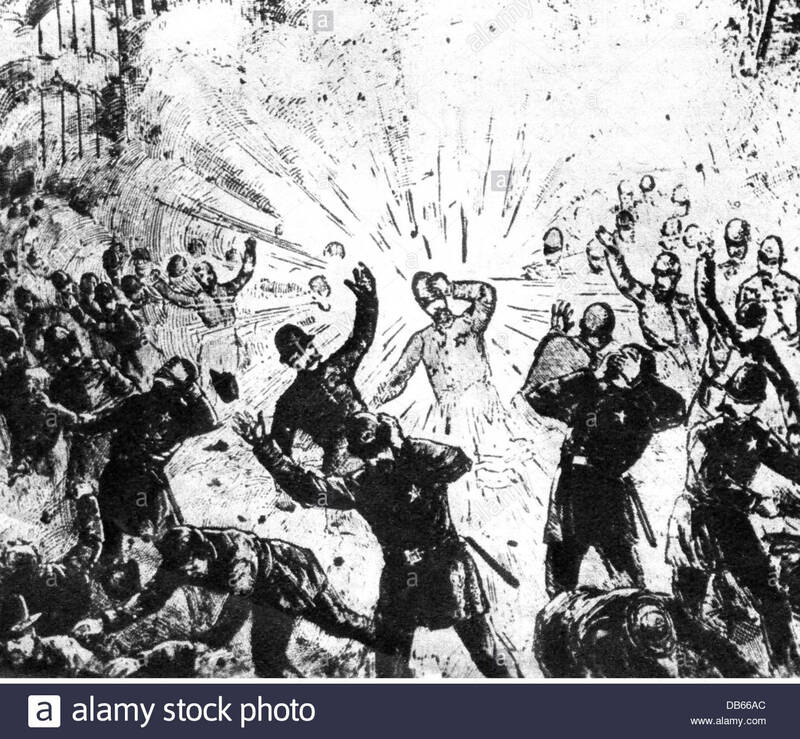 In May of 1886, the Haymarket Riot in Chicago erupted when workers who were staging a peaceful protest were met by a contingent of police officers. A bomb exploded, gunfire was exchanged, four people were killed and four anarchists were later hanged. While an unofficial commemoration of the Haymarket Riot would come to be celebrated as “Labor Day,” seven years after the Haymarket Riot, during President Grover Cleveland’s second non-successive administration (Cleveland served from 1884-88; Benjamin Harrison served interregnum from 1888-92, when Cleveland won again), a Pullman Railroad Strike that placed America dangerously close to a second civil war would serve as the backdrop of what would officially become the Labor Day holiday that we still observe. The Pullman Railroad Company, founded by wealthy Robber Baron George Pullman, revolutionized passenger train travel during the latter half of the 19th Century. Pullman cars, described by some as hotels on wheels, were luxurious and the company employed thousands of Americans in jobs ranging from conductors, to coal miners to “Pullman Porters” or butlers comprised primarily of Black Americans. The Pullman Company developed a corporate town of Pullman on the Southside of Chicago and all things considered, most men who worked for the company, including Black Porters, were relatively well paid during this period. The economic depression of 1893, however, cast much of corporate America into a tailspin and in an effort to maximize profitability, the Pullman Company lowered wages for its workers. The problem was that the company kept the rent amounts in the Pullman town the same, thus causing workers considerable financial angst. Disgruntled workers soon organized into a group called the American Railways Union (ARU). Led by Eugene V. Debs, by June of 1894, a full-scale strike was under way not only in Chicago but by mid-summer, in 27 states. Like the American Federation of Labor (now AFL-CIO), the ARU by custom was restricted to white workers only. As such, Black Porters continued to work and the Pullman Company hired other black “strike-breakers” to fill the positions vacated by white workers. This led to an overt racial tone and hostility that eventually found black workers beaten when reporting for work. The strikes also included the direct blockage of railroads. The racial hostility and railroad blockage caused President Cleveland to send in the military to break up the strike to ensure that the mail and commerce proceeded unfettered. While the violence initially had been restricted to the occasional roughing up of strike breakers, once the military was sent in, mayhem erupted and by the end of summer, 30 men had been killed, 57 had been wounded and over 80 million dollars (30 billion today) in property had been damaged. In an effort to appease the many Americans who feared that the military’s forcible moves upon private citizens exercising their rights to protest could backfire, President Cleveland signed a hastily passed Congressional Act into law designating the first Monday in September as a federal holiday in celebration of American workers. Meanwhile, Debs, the strike organizer, was convicted and sentenced to six months in prison for violating a federal injunction. While imprisoned, Debs was introduced to the writings of Karl Marx and in time, he became America’s leading socialist and seemingly perpetual socialist presidential candidate. As for race relations, once the strike ended, the black strike breakers were, you guessed it, replaced by white workers. The mostly Black Porters, however, continued to work and by 1925, with wages for the same having never been increased to adjust to the escalated costs for living, they organized the Brotherhood of Sleeping Car Porters. Led by the great Asa Phillip Randolph, by the late 30’s, the BSCP had forced the Pullman Company to the negotiating table and won concessions to improved work conditions and wage demands, a fact that many historians conclude was among the first victories of what would later become the Civil Rights Movement.